It doesn’t matter what new styles come to the forefront temporarily. The classics will always be our tried and true jewels. Take this cornrow style; It serves us throughout the summer heat, the winter air, wet and wild days and elegant escapades. Similar to the new box braid craze, I wish Solange Knowles will soon rock a cornrow set in a Beyonce video (like she rocked the Boxbraids in Beyonce’s Partaay video). Do it for the curls Solange! 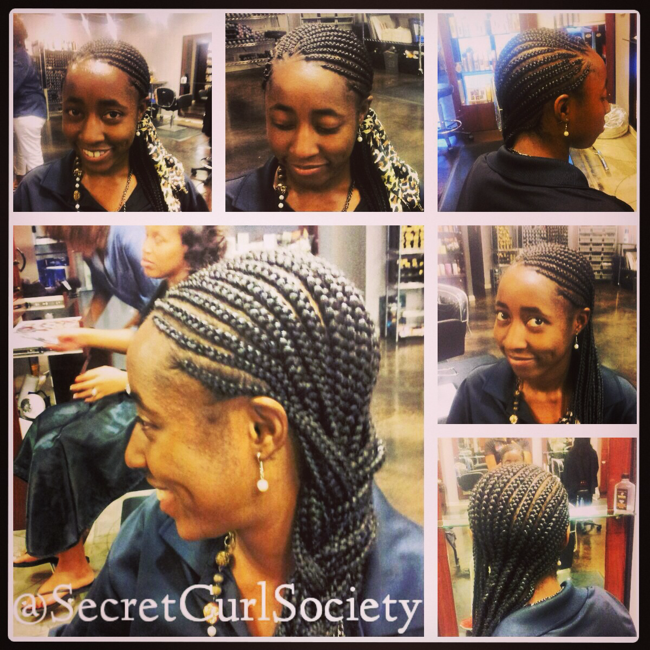 We all need the protection and scalp stimulation of the traditional cornrow set. Aye, Solange, call me if you want to make an appointment!